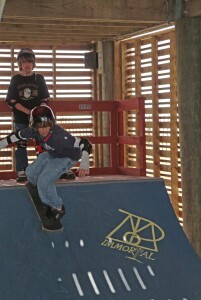 Sandy’s Down Under (SDU) Skate Board Park! They asked for it! Enjoy the ramp, bars, and concrete you need to have fun – shade, too! Please note: Hurricane Matthew destroyed SDU. We are rebuilding the skate park and plan to open it around Spring Break 2017. 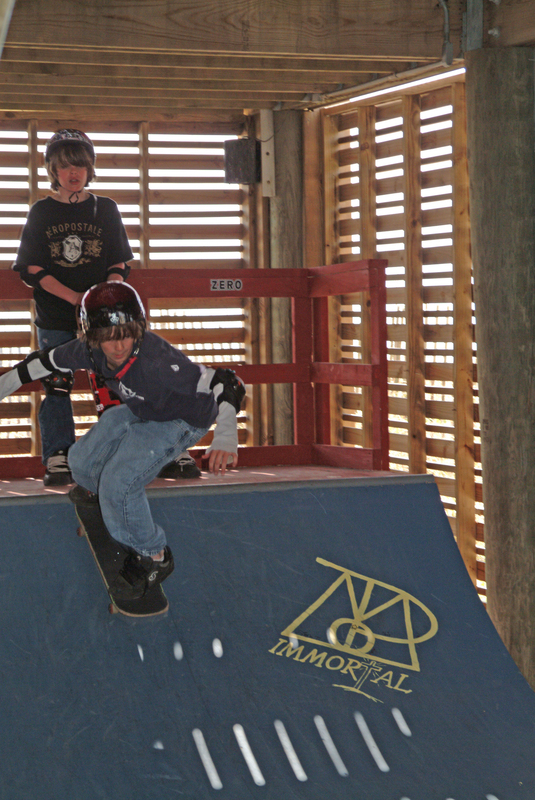 Parent or guardian must sign a permission form in the Recreation Office for the Skater admittance wristband. Off Season: Typically open upon request conditions permitting (see the Recreation Office). SDU is normally open for spring breakers at Easter. We feature 2 special amenities for teens. One is our “Surf Camp” for ages 10-15, expanded to three days with several different surf instructors. The second is our skate park, Sandy’s Down Under, or SDU for short. But until then, we have a place just for you – Sandy’s Down Under (SDU for short). Talk about a room with a view! The windows look out onto the ocean and its air-conditioned with fresh ocean breezes. The finishing touchs are being added right now! With an Austrailian paint scheme and graffiti art, you’ll find it the place to be. It’s located under the Oceanfront Observation Deck. It’s a place to meet friends, listen to music, swing in a hammock, skate, watch skaters and more. So, we want to hear from you! Once you’ve been – what do you think? We hope you like it. But respect it – we had to fight for the space! You and your friends have the power to make it work.